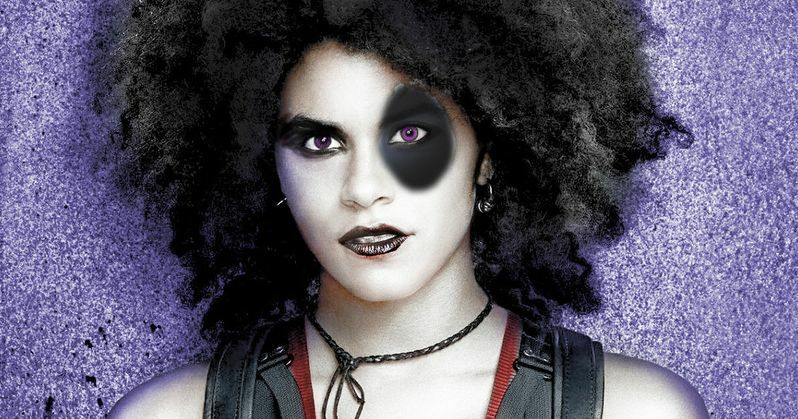 Deadpool 2 is currently conducting reshoots in Vancouver, Canada and Domino actress, Zazie Beetz, has stated that the sequel will be "heavier" than the first movie. It's been almost exactly 2 years since the general public was introduced to Wade Wilson and his brand of humor. There was so much humor in the movie that it made viewers forget that they were actually watching a pretty heavy story, so it should be interesting to see how Deadpool 2 gets darker than the original movie. Zazie Beetz spoke in a new interview about working on Deadpool 2 and mentioned some of her favorite aspects of being in the sequel. Beetz hints at the past of Domino and reveals that she enjoyed taking some of that drama and pulling it into the comedy realm. Ryan Reynolds was able to pull this off as the Merc with a Mouth in the first movie, and it seems like a challenge that most actors would like to take on. She had this to say. "I loved exploring the dramatic parts of it. For Domino specifically, I loved thinking about her past and pulling that into even the comedy of [what] we're doing it in the film, since it is based in that." With the addition of Domino, Josh Brolin's Cable, and Shatterstar, it makes sense that we'll see some different types of character development going on, bringing in new themes. That being said, Zazie Beetz compares Deadpool 2 to Donald Glover's hit show Atlanta in terms of darker themes. In addition, Beetz says that ultimately, she enjoys playing a female character that can match Deadpool. She had this to say. "In Deadpool 2 I think we go heavier than the first one did. Like Atlanta, the themes are darker. I liked playing this woman who could meet Deadpool face-to-face and toe-to-toe. In terms of our wit and our banter, we match. It really was nice to play that." Deadpool 2 sounds like were going to get an expanded universe that will set up the X-Force movie perfectly. Both Domino and Cable have pretty dark histories, so it will be interesting to see how they handle the heavier moments. One can already imagine Deadpool breaking the 4th wall to complain about not being the center of attention or just generally lightening the mood when things get a bit too dark. Deadpool 2 will be released on May 18th, after getting pushed forward two weeks. The movie finds itself right in the middle of a summer blockbuster sandwich. Infinity War, which also stars Josh Brolin opens two weeks before on May 4th and Solo: A Star Wars Story opens up one week later on the 25th, making the month of May out to be a huge time for blockbuster movies. You can read the rest of the interview with Zazie Beetz talking about Deadpool 2 being more dramatic than the first movie over at ComicBook.com.